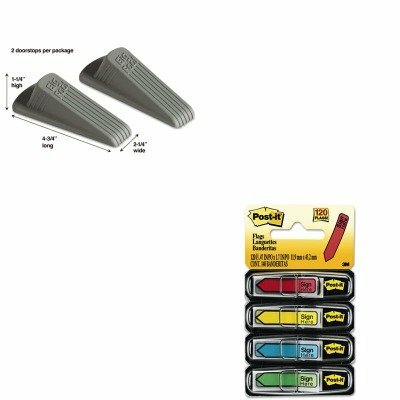 lt;stronggt;MAS00972lt;/stronggt;lt;BR/gt;Master Caster Big Foot Doorstoplt;BR/gt;Wedge style, nonslip rubber with extra-wide flange. For homes and offices. Color: Gray Overall Width: 2amp;quot; Overall Depth: 4 3/4amp;quot;.lt;BR/gt;lt;BR/gt;lt;stronggt;MMM684SHlt;/stronggt;lt;BR/gt;Master Caster Big Foot Doorstoplt;BR/gt;Request action for specific tasks and get fast results. Save yourself or your employees the trouble of having to provide instructions for multiple signature placement. These arrow message flags with a black border do all the work for you. For convenience and quick application, the removable and repositionable flags are housed in a pop-up dispenserso you will always have them on hand. Write on flags with ballpoint pen or pencil. Colors: Assorted Messages: SIGN HERE Dispenser: Pop-Up. View More In Printer Staplers. If you have any questions about this product by Master Caster, contact us by completing and submitting the form below. If you are looking for a specif part number, please include it with your message.